For most of us, the struggle to be productive when we want to be and when we are expected to be can seem endless. There's no one-size-fits-all approach to being productive, and there certainly isn't a finish that guarantees we'll get it right every time. Productivity is something we'll have to continue working on for the rest of our lives. But that doesn't mean we can't get better at it. We're always curious how other people stay productive so they can live a more balanced life. What tips do productivity experts and successful people have for focusing on what matters and accomplishing their goals? 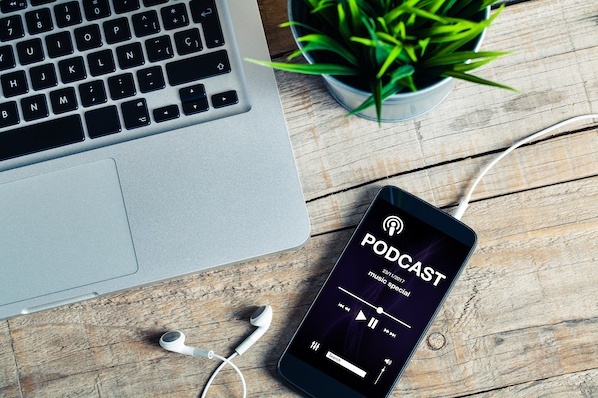 Whether you're looking for advice or just like to listen to a great interview, we've curated a list of seven awesome podcast episodes about productivity for you to check out. Want to listen to all of the episodes below? You're in luck. Check out our full playlist on RadioPublic. It's available for iOS and Android devices, as well as in your browser. 1) The Productivity Show: "A Year of Productivity w/ Chris Bailey"
You can't be productive if you're not also deliberate about what you want to accomplish. Because, of course, how can you invest in your productivity if you don't know and you don't decide what you're being productive on?" Ever wanted to conduct a productivity experiment on yourself? Before you do, save yourself some time by listening to this episode -- Chris Bailey's probably already done it for you. After graduating from college in May 2013, Bailey declined two full-time job offers to dedicate a full year of his life to exploring his obsession: productivity. During that year, he conducted productivity experiments on himself, like living in total isolation for 10 days, using a smartphone for only an hour a day for three months, waking up at 5:30 a.m. every morning, and working 90 hours a week. 2) HBR's Ideacast: "Take Control of Your Time"
No matter how many times we went to hope that we have more than 24 hours in a day or seven days in a week, the truth is, time is the ultimate democracy. Rich or poor, young or old, male or female, we’ve got the same amount. The first step to managing that better and having realistic expectations is to embrace the truth and work within our capacity instead of trying to work against reality." Time is not a renewable resource -- and yet, we all seem to think we can get more done than we actually can. How can we start to set expectations that are more realistic and achievable? What are the best steps we can take to start controlling the chaos? 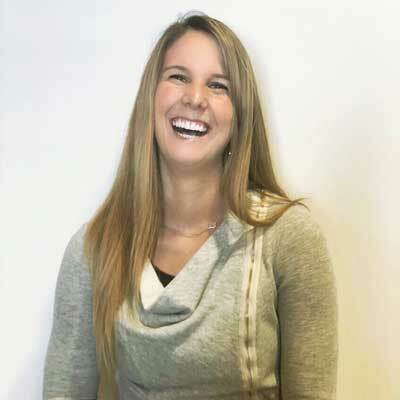 In this interview with Elizabeth Grace Saunders, founder and CEO of Real Life E and author of The 3 Secrets to Effective Time Investment, you'll learn how to embrace the reality of our time constraints, what signs to look out for that you’re over-allocating time to work, and how to change our mental patterns to prioritize what really matters. 3) Stuff You Should Know: "Are We Obsessed With Goals?" A stretch goal is a virtually unattainable goal you give to your employees to shake them out of their ruts -- which isn't great. Aubrey Daniels argue that stretch goals aren't good for your company because, when people in departments fail to reach their goals, research shows there's a performance decline afterward." "Set goals and meet them, or be unsuccessful." That's what many of us were taught from a very young age. But in some contexts, goal-setting can actually be harmful and a hindrance to getting stuff done. In this episode, co-hosts Chuck Bryant and Josh Clark explore the West's goal-obsessed culture and its beginnings in organizational psychology. They talk about what goals are and how they differ from ambition and intention, why they work and how to achieve them, and why it's sometimes best for your productivity and performance not to set them at all. 4) The Tim Ferriss Show: "How to Avoid the Busy Trap (And Other Misuses of Your Time)"
A good man will not waste himself upon mean and discreditable work or be busy merely for the sake of being busy. Neither will he, as you imagine, become so involved in ambitious schemes that he will have continually to endure their ebb and flow." Tim Ferriss -- best-selling author of The Four-Hour Workweek, among other works -- is known for being a big fan of Stoicism, the philosophy that one can endure pain and hardship without displaying feelings or complaining. In other words, you can't always choose your experiences, but you can choose how you experience your experiences. Theoretically, nothing can stop you from being creative, productive, or successful. Ferriss calls it "a simple and immensely practical set of rules for better results with less effort." In this unique episode from his podcast, Ferriss doesn't do his normal interviews or monologues. Instead, he reads an excerpt from one of his favorite Roman Stoic philosophers, Lucius Annaeus Seneca. The letter is called "On the Futility of Half-way Measure," and in it, Seneca talks about how we spend our time -- one of the biggest stresses for all people, especially entrepreneurs. Then, he encourages listeners to think about ways to adapt Seneca's wisdom to their own lives. 5) Louder Than Words: "The Austin Kleon Episode"
So much of accessing that creative mind is about not being serious. It's about not being so uptight, and about loosening up and letting yourself go and diving into that kind of playful sub-conscious." Litmus' John Bonini is the host of Louder Than Words, a podcast that gives listeners a glimpse into the lives and creative processes of some remarkable people. 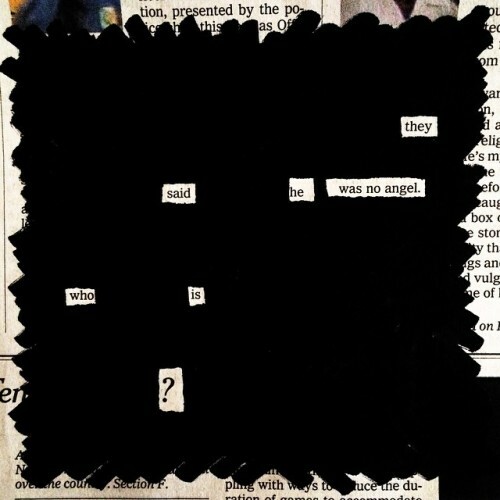 One such remarkable person is Austin Kleon, whom you might know as the author of Steal Like an Artist and Show Your Work!, or for his infamous "newspaper blackout poems" (see below). In this episode, Bonini and Kleon talk about breaking creative ruts, the importance of being boring, how Kleon collects ideas, and how you should let nothing get in the way of your work. The episode is funny, endearing, and above all, useful. Bonini, who credits Kleon for the reason he started the podcast to begin with, is in his element as a host -- and Kelon is as direct and compelling as ever. Length: 1 hr. 11 min. 6) Radiolab: "Me, Myself & My Muse"
The source of her ideas was outside her. She could get some distance from it -- maybe negotiate with it, even fight with it -- instead of beating herself up all the time." Neurologist and writer Oliver Sacks made a dangerous bargain with creativity: In 1968, when he was struggling to finish his first book, he told himself that if he didn't finish his book in 10 days, he would kill himself. It was crazy, but it worked -- in fact, he finished a day early. That story got the hosts of Radiolab thinking: Is there a bargain you can make with your creative self that somehow avoids this terrible cost? The rest of the episode features an interview with the always-fun, always-artistic Liz Gilbert, author of the best-selling book Eat Pray Love. She spent a lot of time trying to figure out how to, as she puts it, "live a lifetime of creativity without cutting your ear off." Her big revelation came when she began to think of her inner source of ideas and inspirations as a being separate from herself -- an entity she calls her "muse." In the episode, she gives advice on how to battle with your muse, and tells us why she believes your muse wants you to fight back. 7) The Growth Show: "Unconventional Habits of Highly Productive People"
Productive people govern their own minds in a way most of us don’t. They see these choices that most of us don’t even know are there. They get more done with less stress and waste." How do some people and companies manage to be so much more productive than others? Charles Duhigg, Pulitzer-winning journalist for The New York Times, spent five years researching that very question before writing his latest book: Smarter Faster Better. This episode of The Growth Show features an interview with Duhigg, where he reveals things that normal people like you and me can start doing today to work smarter, faster, and better. You'll learn how to build mental models and envision your success, and how to choose better goals and make better choices and decisions. What are your favorite podcasts about productivity? Share with us in the comments.